A Farmers Insurance® Mobile Claims Center (MCC) has been deployed to Victoria, Texas to assist customers affected by Harvey. 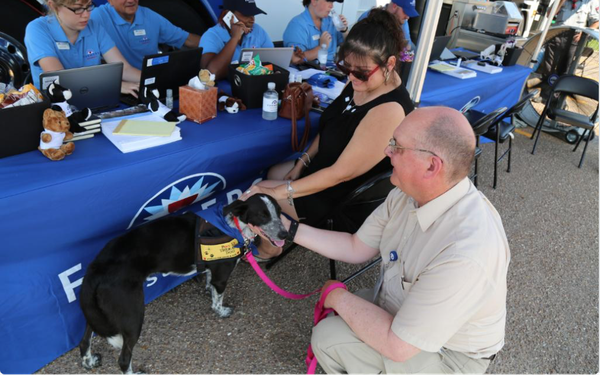 In addition to expedited claims processing, hot meals, sundries, internet and phone access, customers who visit the MCC relief site will also have access to Pet Partners specially-trained therapy dogs for emotional support. Posted in Fetch, Animal Welfare and tagged with Hurricane, Rescue.